An Indo-American Canterbury Tales, The Meagre Tarmacexplores the places where tradition, innovation, culture, and power meet with explosive force. It begins with Vivek Waldekar, who refused to attend his father’s funeral because he was “trying to please an American girl who thought starting a fire in his father’s body too gross a sacrilege to contemplate.” It ends with Pranab Dasgupta, the Rockefeller of India, who can only describe himself as “‘a very lonely, very rich, very guilty immigrant. Time Lord: Sir Sandford Fleming and the Creation of Standard TimeIn the 1880s, a businessman traveling by train from New York to Boston needed, on arrival, to adjust his clock, moving it ahead by 12 minutes. The strange increment, writes Clark Blaise, was a matter of local interpretation, some enterprising Bostonian having determined that the rising sun touched the shore of Massachusetts a dozen minutes before warming Manhattan. Such local interpretations of time made the job of establishing railroad schedules a matter of guesswork and hope, as the Canadian entrepreneur Sandford Fleming discovered when he missed a train in the west of Ireland in 1876. Frustrated, Fleming realized that a new system of universal time would need to be created if railroad travel were ever to realize its full potential. As Blaise writes, "the adoption of standard time for the world was as necessary for commercial advancement as the invention of the elevator was for modern urban development," and nations such as England that had a system of standard time in place owed much of their economic superiority to the predictability and reliability such a system put in place. Here gathered together are the Montreal-set stories which made Clark Blaise famous -- such stories as `A Class of New Canadians', `Eyes', and `I'm Dreaming of Rocket Richard' -- alongside two new and unpublished Montreal stories, `The Belle of Shediac' and `Life Could Be a Dream (sh-boom, sh-boom)'. 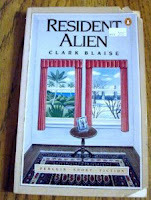 Resident Alien"Resident Alien" is the first Blaise book to be originated by penguin Canada and we are proud to welcome him. "Resident Alien" is an interesting exploration of the fine line between autobiography and fiction - nonfiction essays surround stories that imaginatively rework the material already presented. Blaise once again looks at the subject of loneliness and alienation and the differences between Canada and the United States, and he reconstructs the small events and influences on a life that could have produced "an eventual artist (if lucky) or a functional neurotic." This is the first full-length study of the short stories and novels by Clark Blaise. It follows his development as a deeply self-conscious writer who becomes involved in the dualities of the world around him—dualities that are reflected in the structure of his fiction and in the narrative strategies he employs to convey an image of himself. Lecker frames his discussion with an opening chapter that provides a detailed discussion of Blaise's aesthetic stance. Subsequent chapters focus on Blaise's first two short-story collections and on readings of Blaise's two novels. The study includes an original chronology by Clark Blaise, which provides a creative rendering of the important dates and turning points in his life and literary career. `Written over four decades, Pittsburgh Stories, is the second in a projected four-volume set of Clark Blaise's selected short stories. Set largely during the forties and fifties, these nine stories, with one exception, are reminiscences about a distant Pittsburgh adolescence. The previous and inaugural collection in the series,Southern Stories, was also unified by one locale. The stories collected here in Volume One are among the earliest in Blaise's forty-year publishing career. The experience of Florida -- particularly the underdeveloped north-central areas close to modern Disneyfied Orlando -- profoundly affected a `Yankee' child with Canadian parents. The Florida Blaise describes is little-changed since the Civil War. The stories in this volume trace a young writer's journey towards his life's work. By the close of his Florida experience, he has discovered a way of integrating his Canadian, and especially his French-Canadian, background into a sub-tropical foreground. Included are two very early stories, `A Fish Like a Buzzard' and `Giant Turtle, Gliding in the Dark', which have not previously been published in book form.Southern Stories assembles the best of Clark Blaise's early work in one collection. His powerful writing is as relevant to our times now as it was when these stories first appeared. Included here are stories from "A North American Education," "Tribal Justice," "Man and His World" and "Resident Alien." Clark Blaise is more than just a local colourist who ferrets out the curious details of `marginal' communities in order to delight cosmopolitan readers. Rather, if we consider the full arc of his work, we see that for nearly fifty years he has been challenging the way that we understand the concept of place in contemporary Canadian and American literature. This is a book of several groups of closely connected short stories having to do with people whose lives are uprooted by contact with other cultures: an American professor living in Montreal with his American wife; an American professor living in Montreal with his Indian wife; two innocent young Oberlin graduates overwhelmed by Swedish sexuality; and an unhappy young Canadian almost destroyed by crushing loneliness. Most Americans have never heard of the June 1985 bombing of Air India 182 (known in India as the Kanishka bombing). It was the first 747 bombing and the worst act of air terrorism until 9/11. This 1987 book was turned down by American publishers because there weren't any American victims, but this is a book that Americans need to read to know about what is really going on in Canada if Americans think that they were too soft on terrorism. The Pan Am 103 Lockerbie bombing, blamed on Libya and arab terrorists, would not happen until the next year, was also a bomb hidden in a radio by a passenger who did not board the airplane. That would have been prevented had the lessons of Air India 182, the first flight to use such tactics been learned. America would not be truly awakened to the threat of terrorism based on religious nationalism until 2001. When written, the suspects hadn't even been identified or arrested yet, but this book shows that Khalistan nationalists like Gurpartap Singh Birk who celebrated the killing of Indian Prime Minister Indira Ghandi were planning many acts of terrorism. It tells the story of Inderjit Singh Reyat, the electrican who was eventually convicted of buying the parts for and rigging just the Tokyo bomb which was suspected as being nearly identical to the AI 182 bomb, yet merely fined and released to work for Jaguar in the UK until his rearrest for. He met Talvinder (Talwinder) Singh Parmar, head of BK but describing himself as an unemployed janitor with a house built in 1982 worth $350,000 to demonstrate a test explosion. 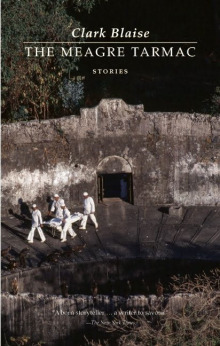 About half of the book is dedicated to stories of the families, women children, men, widows and widowers who were lost or had lost loved ones in the disaster. In an content your kid's job is to existing a powerful how to deal with stress in college argument-using particular evidence-for the point they are trying to make.